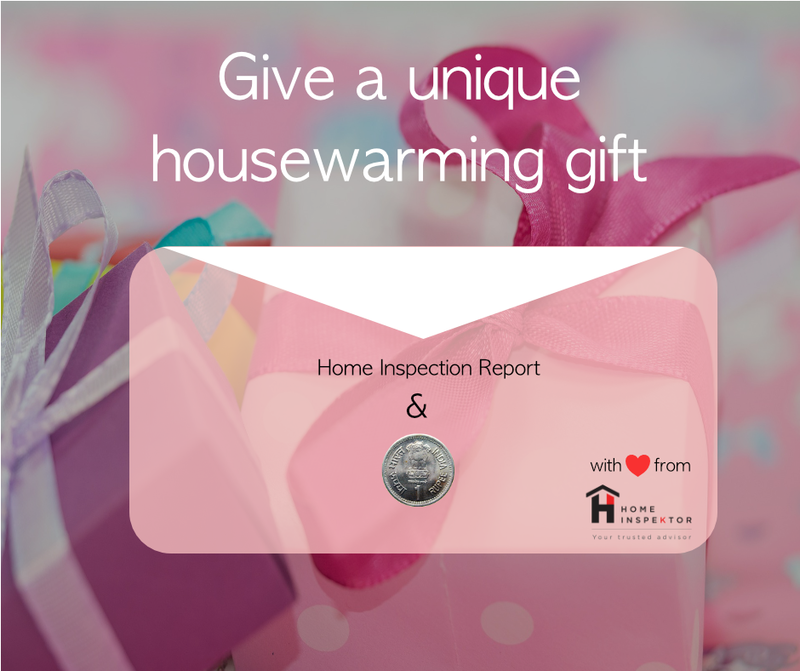 Home Inspection vouchers as a housewarming gift. Give a housewarming gift that is useful – Make sure that the health of the home of your loved one is secure indeed. Home Inspection vouchers available in multiple denominations to match any budget. Call 844 844 9464 or email info@homeinspektor.com right now. HomeInspeKtion vouchers can be used while ordering a home inspection on www.homeinspektor.com only and the price of the home inspection will be discounted to the extent of the value of the voucher. HomeInspeKtion vouchers are available in multiples of Rs 1000/-. HomeInspeKtion vouchers are valid for a period of 6 months from the date of purchase and cannot be extended. HomeInspeKtion vouchers can be used only once and for the complete amount it represents. HomeInspeKtion vouchers are not refundable under any circumstance. HomeInspeKtion vouchers cannot be exchanged for cash or anything else. HomeInspeKtion vouchers are valid for home inspections in Bangalore only. Multiple HomeInspeKtion vouchers can be used together for a single home inspection. Place an order by emailing us at info@homeinspektor.com with the details about the amounts and the quantity. We will send you details as to how to make the payment. Once the payment is complete, we will email you the HomeInspeKtion voucher. You can print/forward the voucher to the person you want to gift it to. The voucher will have all the details on how it can be redeemed including a coupon code. Place an order for a home inspection. While placing an order, be sure to mention the coupon code of your voucher. Your price will be discounted to the extent of the value of the voucher.